A Christmas miracle via Dat Piff. As listeners are reminded in the intro to the latest long-awaited Lil Wayne mixtape, Dedication 6 belongs to an iconic lineage. "We are the mixtape blueprint!" host Gangsta Grillz declares before Weezy jumps into a remix of Kendrick Lamar's "DNA." The DJ Drama-produced project also includes flips of 21 Savage's hit "Bank Account," G-Eazy's "No Limit," and song-of-the-year contender XO Tour Llif3. 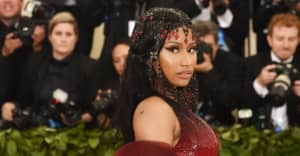 In addition, the tape features guest appearances by label-mate Nicki Minaj, Corey Gunz, and fellow New Orleans-native Gudda Gudda, among others. Check out the track list below and stream the full project on Dat Piff. Merry Christmas and Happy D6 Day Ha!